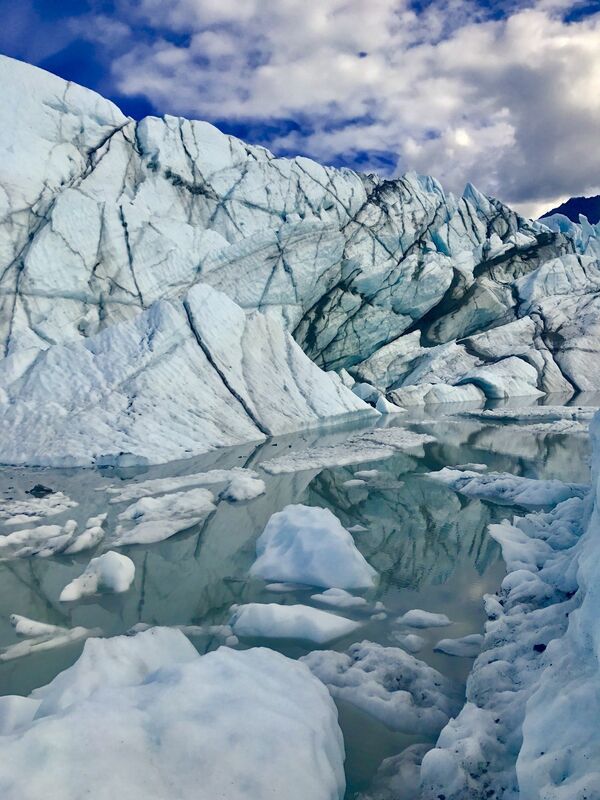 Explore the most popular trails in Matanuska Glacier State Recreational Site with hand-curated trail maps and driving directions as well as detailed reviews and photos from hikers, campers and nature lovers like you. 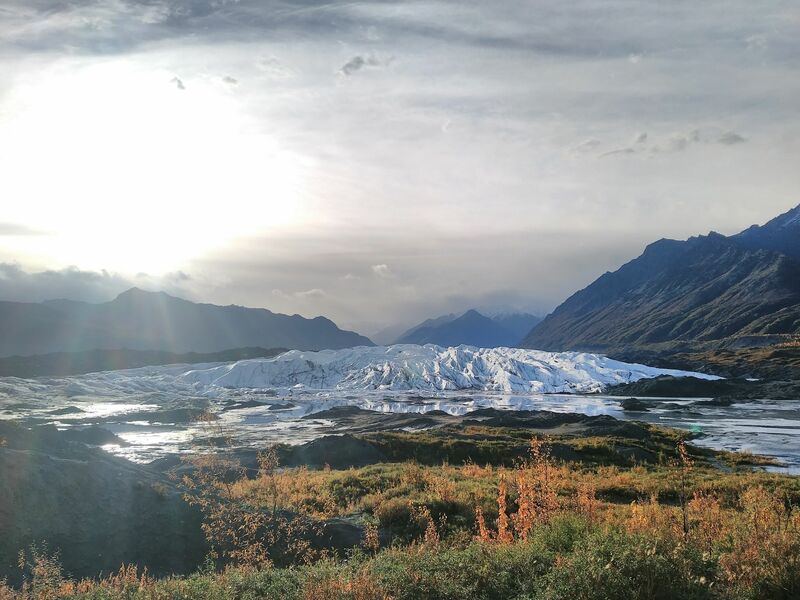 The Matanuska Glacier State Recreation Site, managed by Long Rifle Lodge, is located one mile south of the Lodge at Mile 101 on the Glenn Highway National Scenic Byway. The recreation site has 12 campsites on a gravel loop road, water pump, toilets, fire pits, and picnic tables. 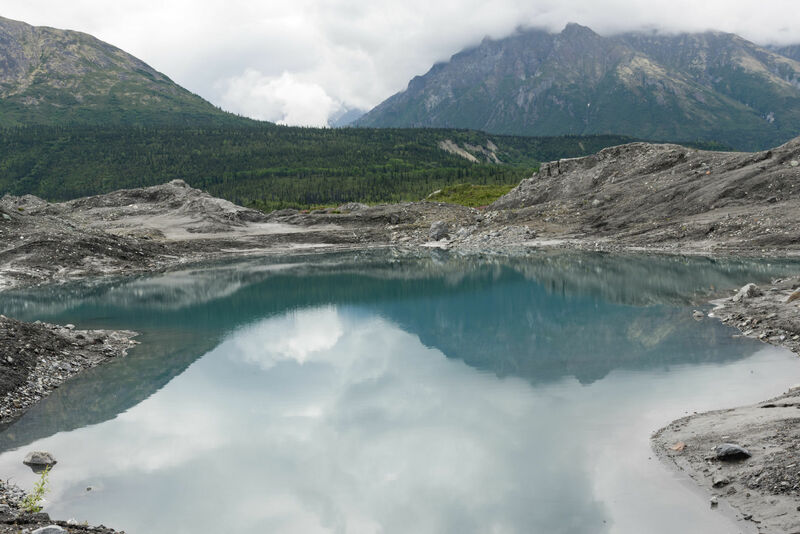 The Edge Nature Trail begins at the rest area and provides a 20-minute walk through the forest to glacier viewing platforms. 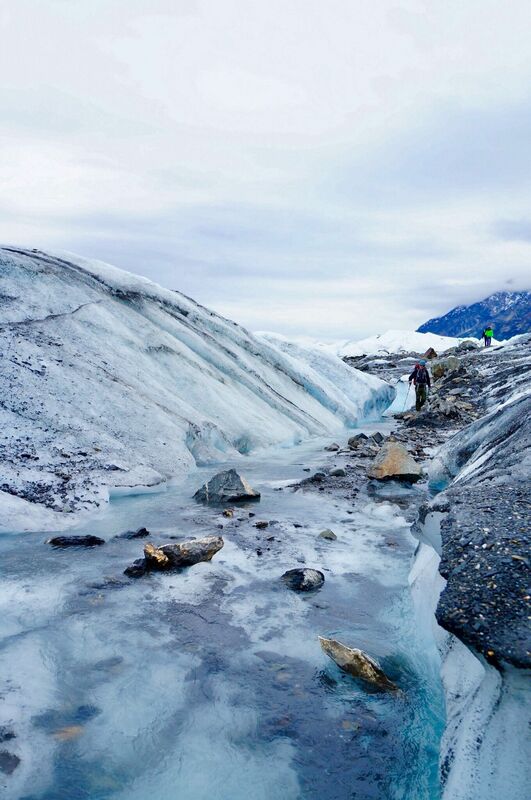 Summer activities include hiking, glacier trekking and river rafting. Winter activities include skiing, snowshoeing and snow machining. 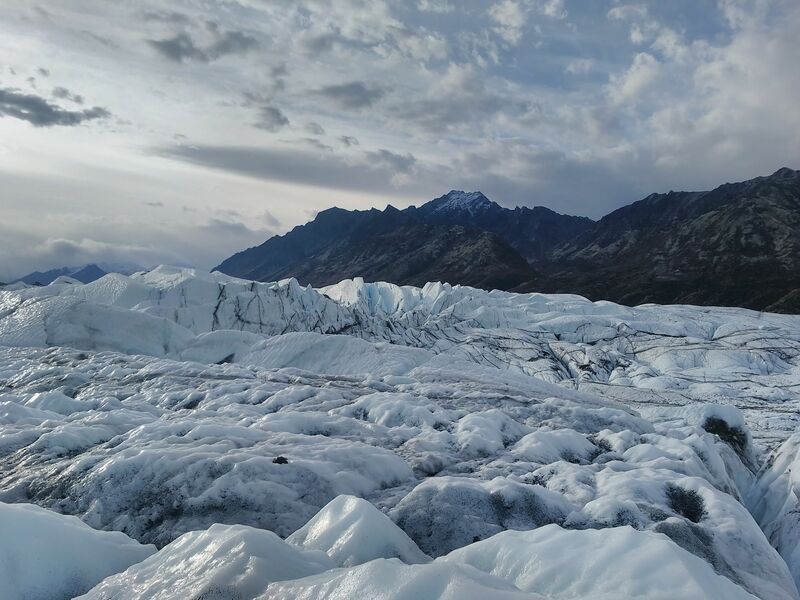 Matanuska Glacier State Recreation Site is adjacent to the Glenn Highway Scenic Byway at milepost 101. 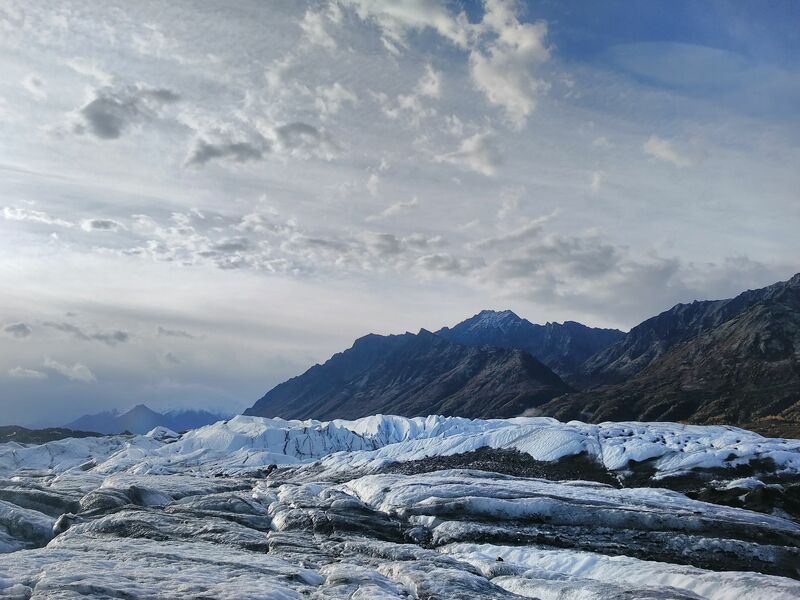 Easy accessibility off the highway provides excellent views of the Matanuska Glacier which creates the headwaters of the Matanuska River. 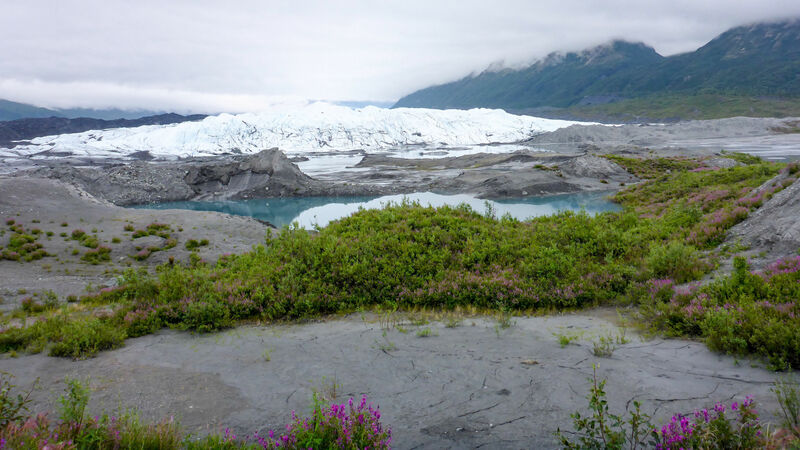 The 300 acre recreation site provides glacier viewing beginning at the parking lot and extends along the interpretive nature trail. 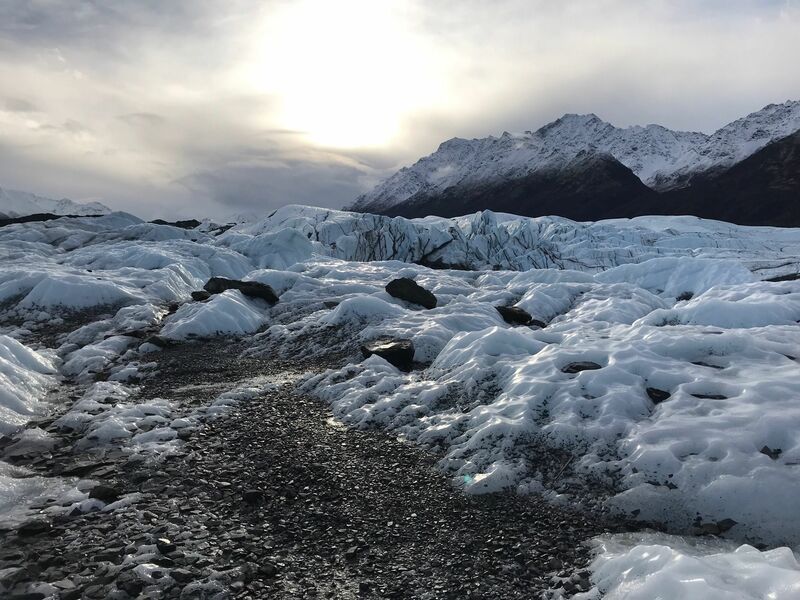 Although no access is provided to the glacier from the recreation site it provides some of the safest and best public viewing opportunities within the area. 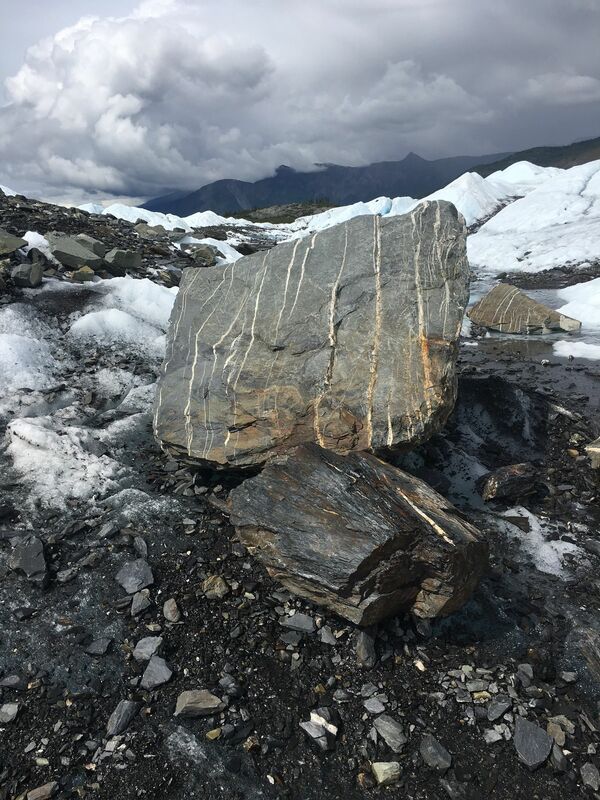 The site is open until closed by winter snow and ice conditions. Awesome hike and great views. Definitely worth the $30. F**k the owner. 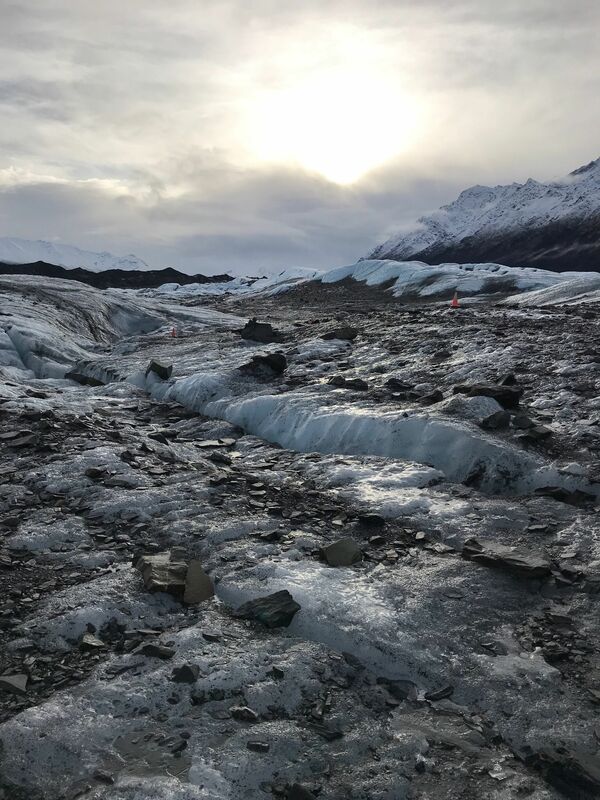 30$ just to see the glacier from up close. Super pretty. First timers should pay $100 for the guided tour and equipments rental. Could be muddy, slick and dangerous. Stay safe and have fun! we just did unguided option - that's about 1 mile in & out. 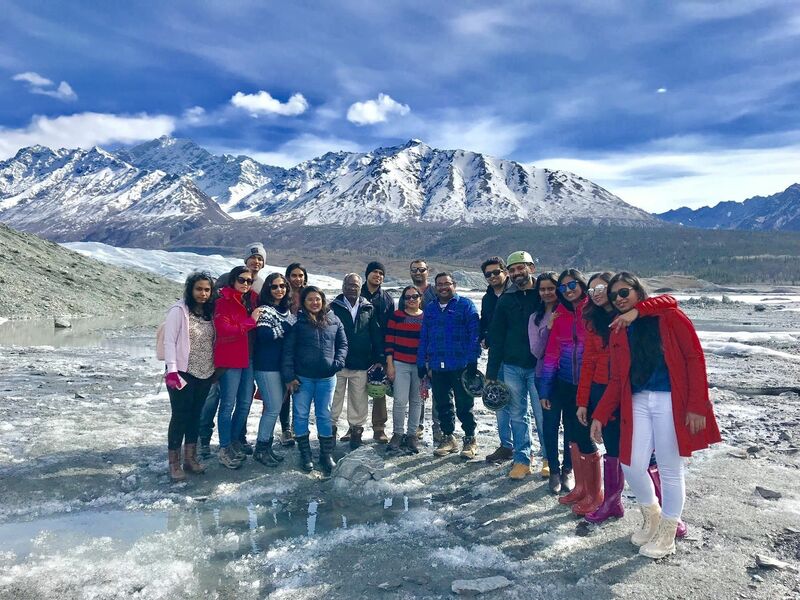 Great experience to be and feel glacier. 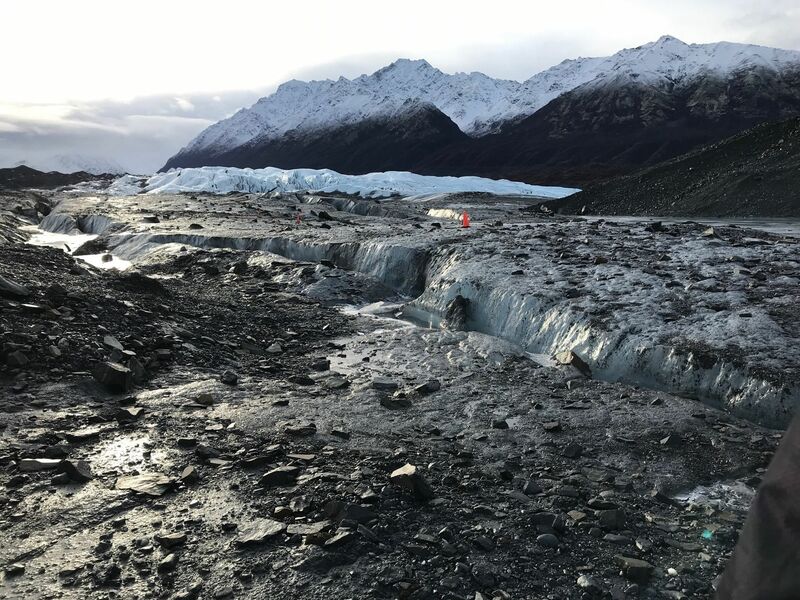 Great views and sound of melted water beneath the glacier is amazing. $30 seems expensive for a hike however, understandable as this is privately own. i do recommend guided tour ($100) if time permits. Booked this through Adventurous Wino’s and had an excellent time. Our guide was Allison, she was very informative and fun. 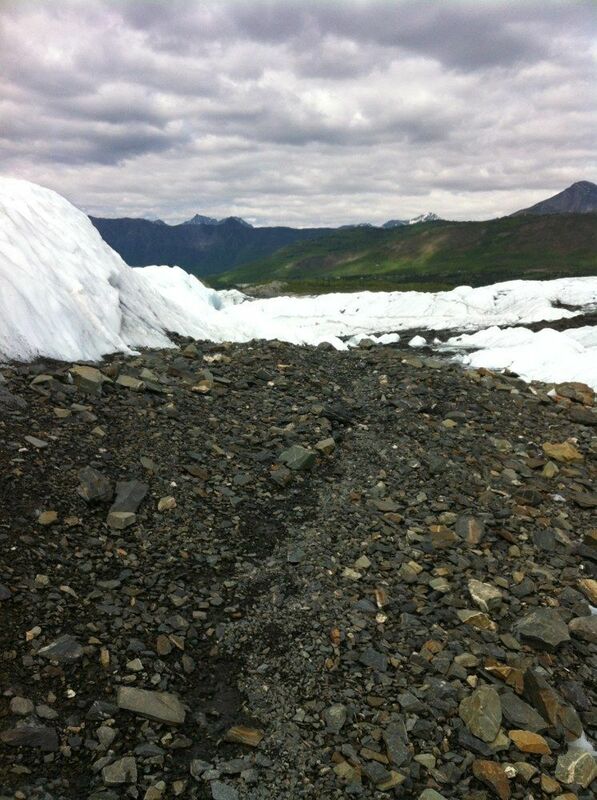 The trail is moderate, my cousin and mother in law had no problems and they both have knee and hip problems. Loved this and would absolutely do it again. 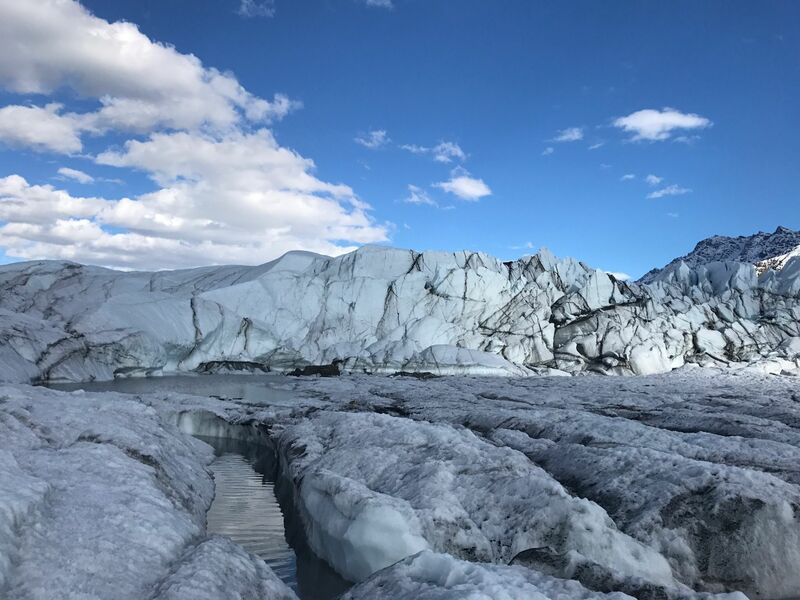 It was an interesting experience to hike on a glacier, but not quite as thrilling as I had expected from my research. The trail and glacier were fairly well populated, so it didn’t necessarily have a really isolated, backcountry feel like many hikes do. 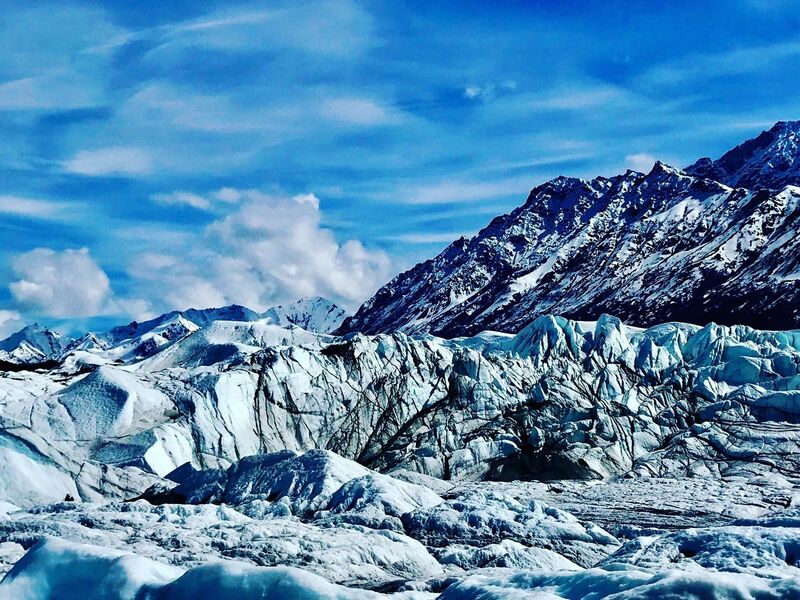 If you have the time (and money) while in the area, it’s an interesting stop, but I wouldn’t call it a must-do Alaska experience. You can only do self-guided tours in the summer time, I think June-September. 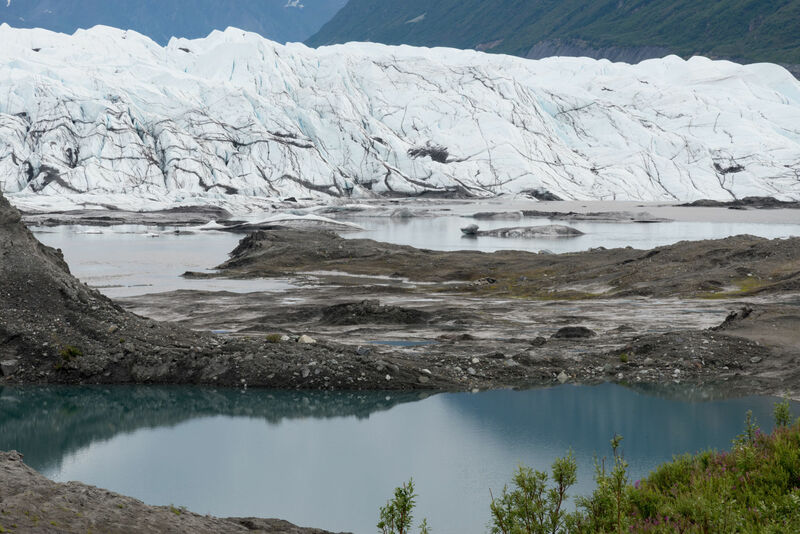 Otherwise, you'll need a guide and the cost is $25-30 if you're an Alaskan resident. I was told tour times are at 11am and 2pm, so call ahead of time if you want the tour. Did this with guide a couple weeks ago and it was beautiful. Took us through some caves and was very informative but she didn't talk our ears off. They will provide you with crampons if needed. 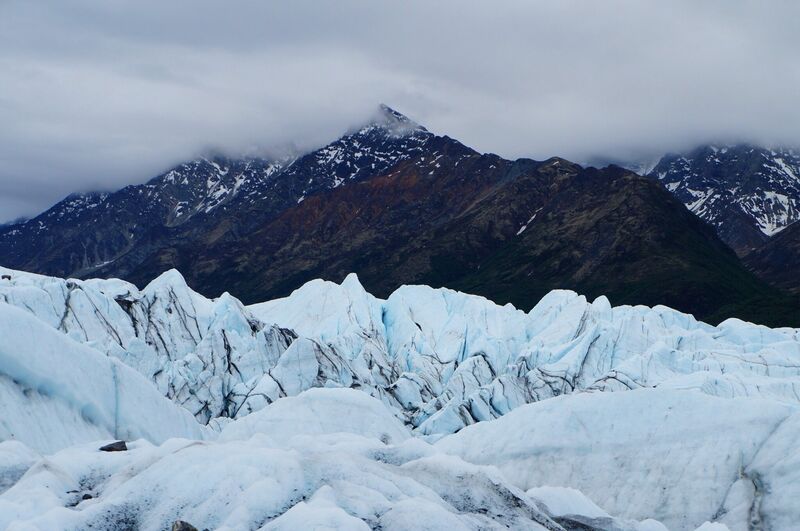 Overall it's just beautiful, the different colors of the glacier are amazing! Scott Evans where did you rent crampons and how much were they. We are planning to go next month. My wife is wary about not getting a guide. I am not sure it makes sense to spend an extra $200 for a guide. Anyone have thoughts here? 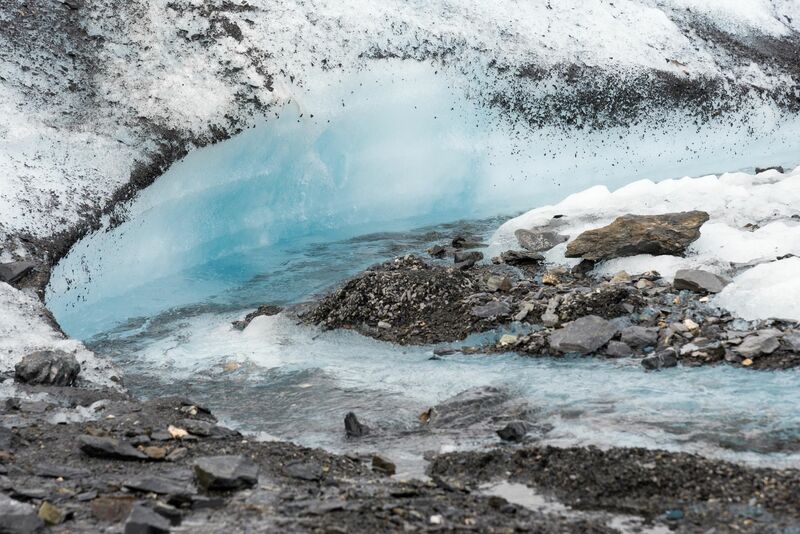 Don't use the guid service, rent your own crampons and explore! THIS IS NOT A PUBLIC TRAIL. YOU MUST PAY $30 per person to get close to the ice. Well worth the trip,we explored for a while and enjoyed it very much! 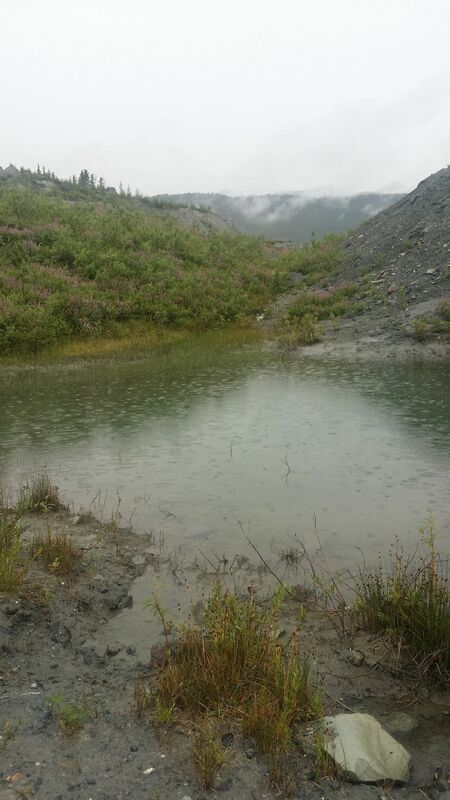 Another beautiful site in Alaska ;). Did this one in the winter. Will try again in the summer. Amazing place. love the natural blue in the ice. 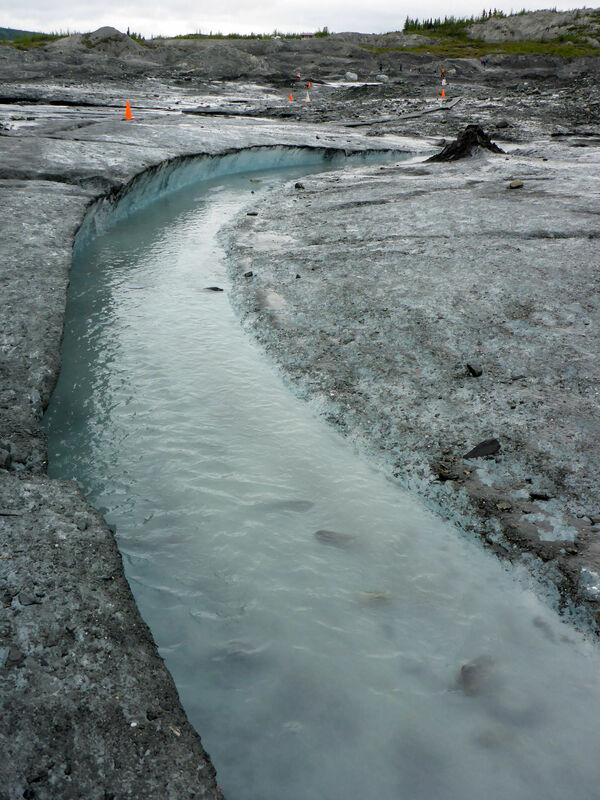 First Glacier we had seen and it was beautiful. Glad we decided to check it out. Unfortunately you do have to pay a fee to drive to the trail head which took away from the wildness of the experience. Wasn't quite what I expected, but was a good time nonetheless. If you walk out there by yourself or get a guide, you will not regret it! Trail is only available for guided tours during winter months. Call ahead. 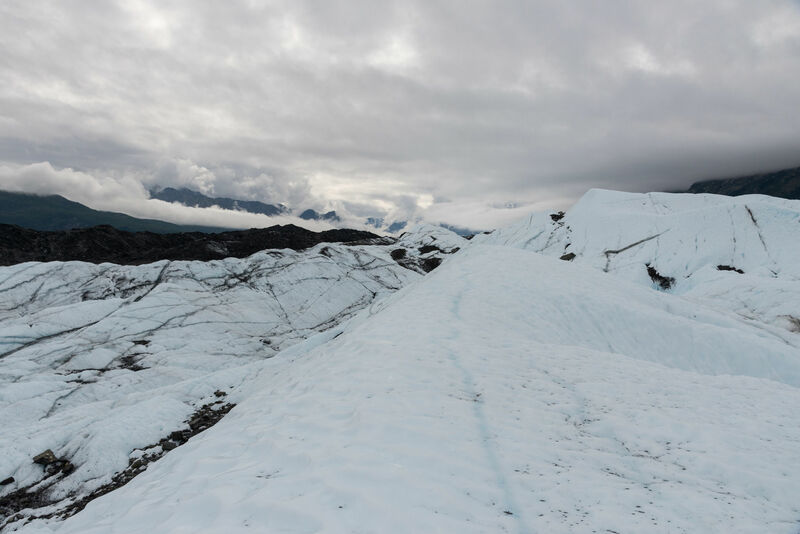 We had no experience ice hiking or climbing, so we hiked the Matanuska Glacier with Nova Glacier Guides - they supplied crampons, ice axes, mountaineering boots and an awesome guide. 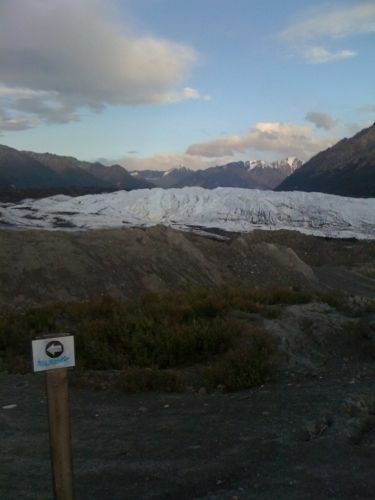 Although the glacier is public park land, access to the face is through private property. 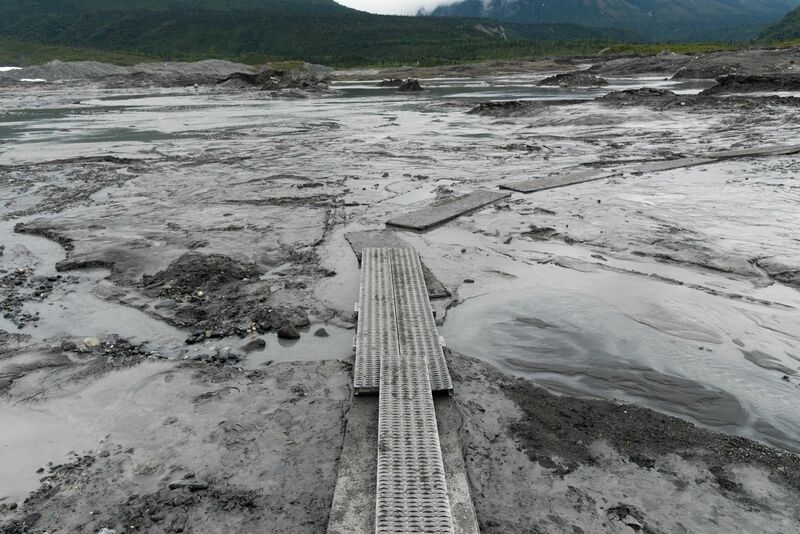 They charge a fee, but also provide a nicely maintained road down to the access area and a floating boardwalk across the thick mud. It only takes a short while to get accustomed to walking on crampons and soon you feel as sure footed as on any trail, maybe more so. 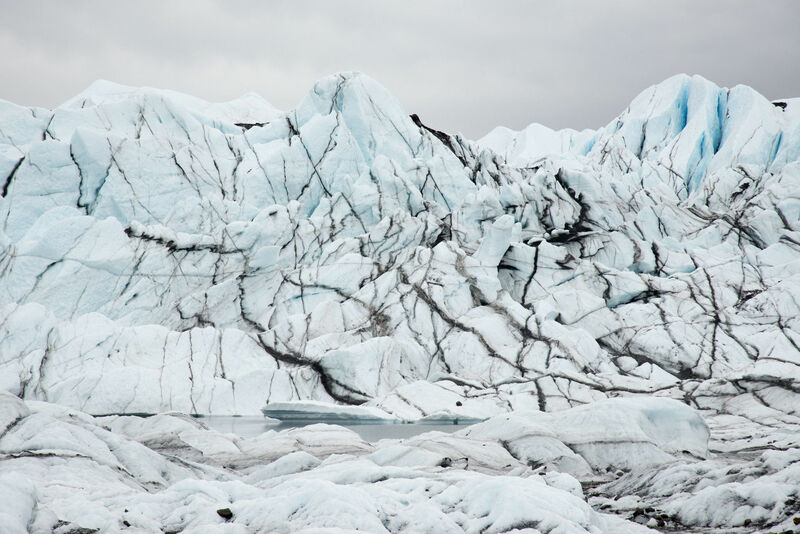 There's no wildlife on the glacier, but just seeing the ponds and rivers on the surface of the glacier, the fissures, it's pretty incredible and not to be missed if you have a chance. 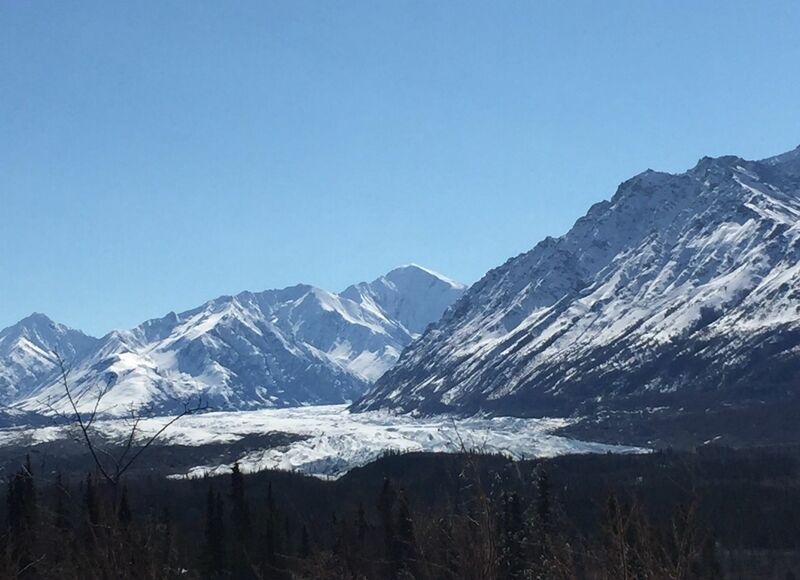 Just 2 or 2.5 hrs east of Anchorage. If I were to do it again, I'd pay more to take as long a hike as Nova would be willing to do, awesome experience. Lisa Waals recorded Track - jun. 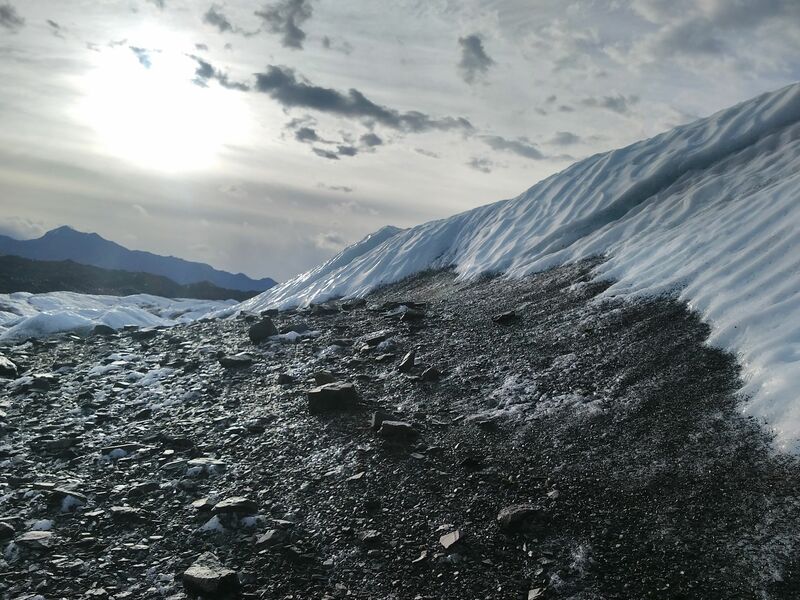 24, 08:43 p.m.
John Metzler recorded Hiking - ON a glacier - awesome!